We are deeply saddened by the passing of our sister Afeni Shakur. Afeni was a sister, mentor, comrade and leader within the New York chapter of the Black Panther Party. As the section leader of the Harlem branch, Afeni was the one who personally welcomed many of us into the party. As the communications secretary, she was one of the highest ranking members on the East Coast and her leadership was the reason many young women joined. Afeni had a deep and profound love for the community and a passion for the people that made her a dynamic organizer and dedicated activist. She embodied the spirit of what it meant to be a Black Panther, waking up at 5AM to cook for the free breakfast program, coordinating the day to day office duties and personally being in the field. Afeni's organizing laid the seeds for a legacy we still bear witness to today. While working with tenant organizations, Afeni led numerous rent strikes, resulting in several tenant owned buildings, some of which still exist today. She was instrumental in organizing health care professionals and patients at Lincoln Hospital and Harlem Hospital to develop the first patient bill of rights, a fore runner of the patient bill of rights now posted in every hospital. After the Black Panther Party, Afeni continued her work in the community as a paralegal helping save hundreds of families from eviction and criminal convictions. She left an everlasting impact on the community and the arts world with her life long contributions that will never be forgotten. We send our deepest condolences and heartfelt sympathy to Sekyiwa, Jean and the entire Shakur family. We ask that young people everywhere continue Afeni's legacy by lifting up her name and continuing to organize in their communities wherever they see injustice. 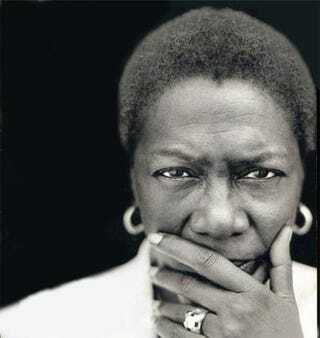 We Love you dear sister Afeni. Long live your revolutionary spirit! Jamal Joseph, a former member of the Black Panther Party, was one of the Panther 21, alongside Afeni Shakur. He is a filmmaker, a professor at Columbia University and founder of the Impact Repertory Theatre. He is also the author of Tupac Shakur Legacy. Yasmeen Sutton, a former member of the Black Panther Party, is a current member of the National Alumni Association of the Black Panther Party. Pam Hannah is a former member of the Black Panther Party.